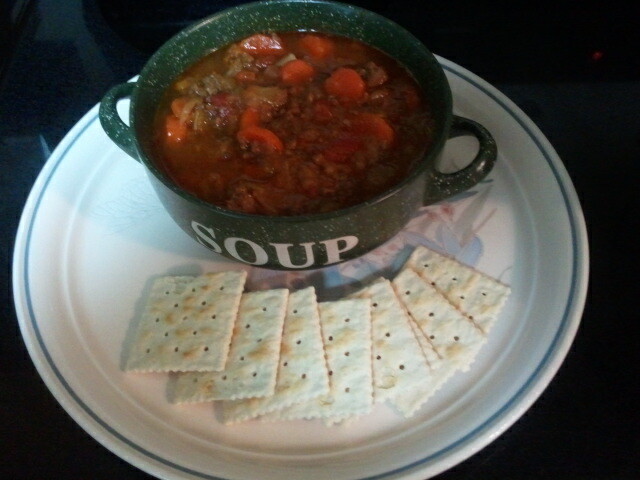 Hamburger soup is one of my favorite dishes. It’s quick and easy to make and it’s a great way to use up left overs. So you get a great satisfying meal with lots of nutrition and it will only cost you pennies. Let the kiddos join you in the kitchen. They can peel the carrots, cut up the veggies and make the salad. Cooking with children may take you a little longer so leave time in your schedule to include them. Teach them while they are young. You will be glad you did. In large dutch oven or soup pot, brown the hamburger and chopped onions in a small amount of olive or coconut oil. 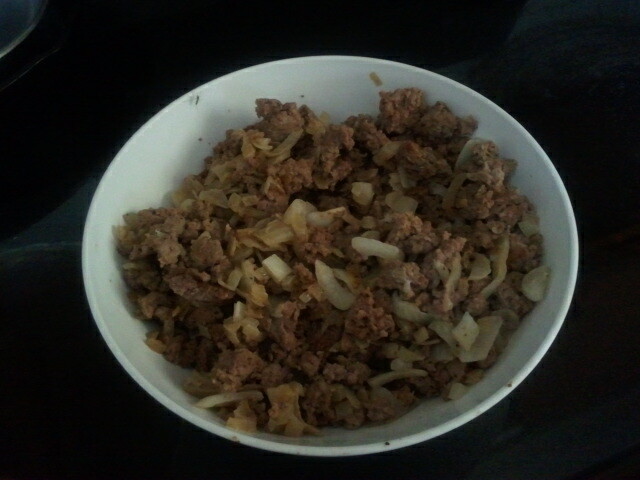 Drain extra oil off cooked meat and onions. Add beef broth/water to cover meat mixture by a couple of inches. I used about 2 quarts of homemade broth from a beef brisket that I made last week. I love the flavor of homemade broth. Yum! Then I also added about 1 quart of filtered water. 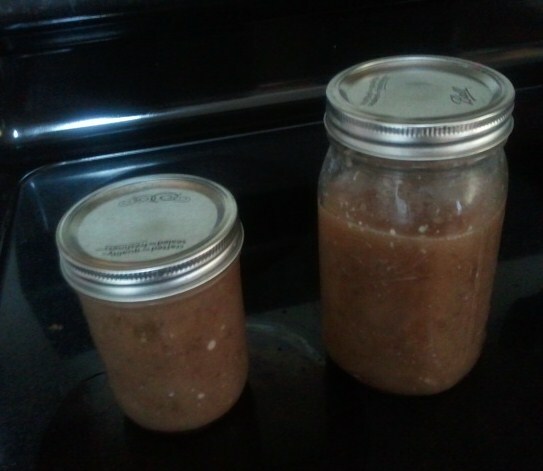 If you don’t have any canned or homemade broth, it works fine to just use water. You may find that you will need to add additional liquid as the soup continues to cook. Add a bay leaf for additional flavor. 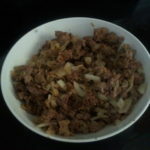 Allow the browned hamburger, onions, and broth to simmer 15-20 minutes or longer. Then add the can of petite diced tomatoes, sliced carrots, chopped celery, and shredded cabbage. Continue to gently cook the mixture until vegetables are fork tender. Now’s the time to add salt, pepper, and beef bouillon, if needed. Taste the soup broth to see if you need additional flavor. 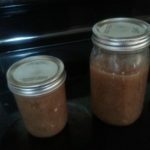 If so, add several vegetable or beef bouillon cubes or a couple of tablespoons of granulated bouillon. Season to taste. Simmer for at least another 30 minutes to let the flavors blend. This recipe cooks great in a slow cooker, too. Just add a fresh salad and some crackers or cornbread and your meal’s all set. 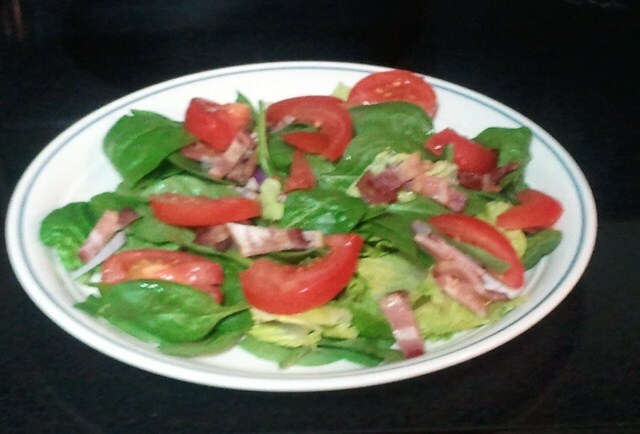 My salad was made from fresh spinach, romaine, red sliced onions, crumbled bacon, and sliced tomatoes. 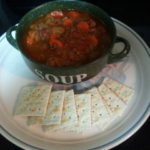 It’s pretty yummy and you can add as little or as much meat as you like. It would also work well with ground turkey. I’ve never heard of a dish like this before! Very unique. Sounds good. it’s really a frugal way of cooking, too. Wow! 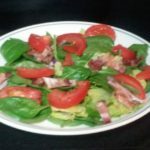 This is an easy dish to prepare! 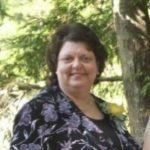 I love the idea of including the kids in the meal time preparation. I think this is so important and really teaches kids the value and benefits of home cooked meals. Wonderful tradition and a great message!! Most people don’t talk about this so good for you!!!! You’re right. Including kiddos in the kitchen is a wonderful teaching time. Yup, it’s pretty yummy and a great budget stretcher, too.